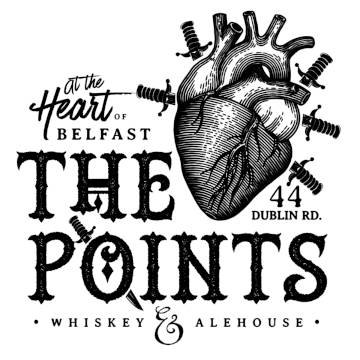 The Points Whiskey and Alehouse aims to provide both tourists and locals with a true sense of this city’s diverse culture, housing live folks bands from across the country seven nights a week. The Points’ additional upstairs music venue ‘Cow Bay’ houses more live performances and a DJ every Friday and Saturday playing a classic collection of 20th Century Rock. With plans to expand the venue into a larger music hall, They aim to provide a platform and amplify Belfast’s entertainment culture. The Points Whiskey and Alehouse is inspired by the notorious district in New York’s Lower Manhattan known as the ‘Five Points’. Described as the first Slum in America and established in the early 19th Century, this infamous district became home to the first influx of Irish migrants, a melting pot of local criminals and gangs of all types.